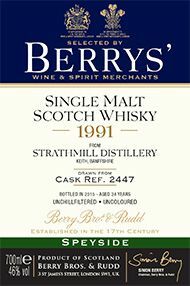 Strathmill distillery sits on the river Isla at Keith in Banffshire. 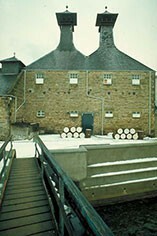 Some of the buildings predate the distillery which was originally a corn mill. Strathmill was originally known as Glenisla-Glenlivet until new owners changed the name in 1895. This fine Whisky was matured in an ex-bourbon barrel. The nose gives sweet honey and vanilla notes with pleasant fruity depths. The palate reveals all of the above very elegantly with some polished oak notes balancing the sweetness.